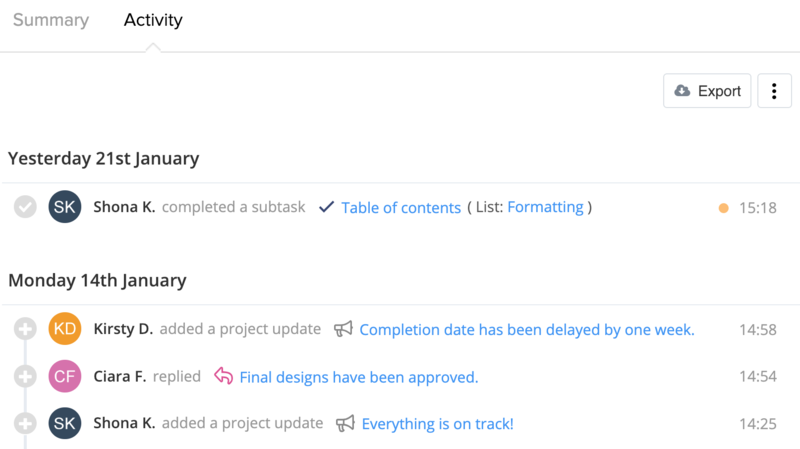 Within Teamwork Projects, you can view a timeline of activity on your project in the project's Overview activity section. 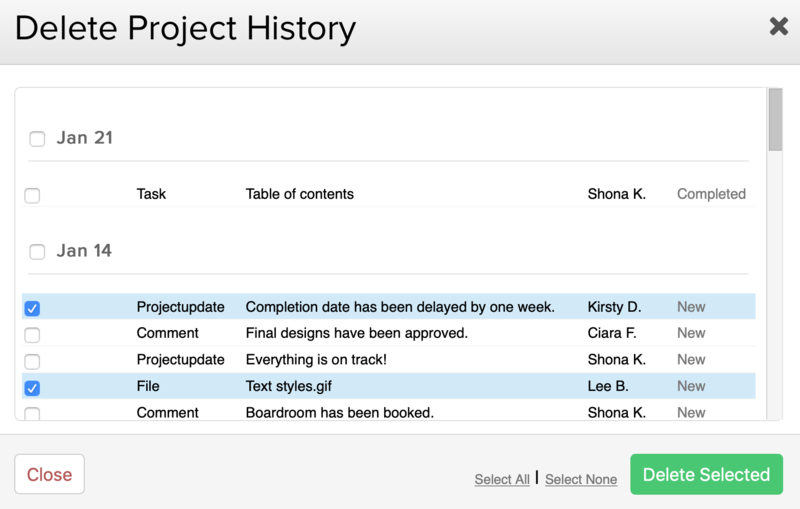 In the Activity tab, you can see a timeline of activity across all items from all users on the project, including task edits, comment likes, file uploads, new milestones etc. All comments that have been added/edited on these items. The activity feed will be grouped by date, and you will also see a timestamp to the right of each item. 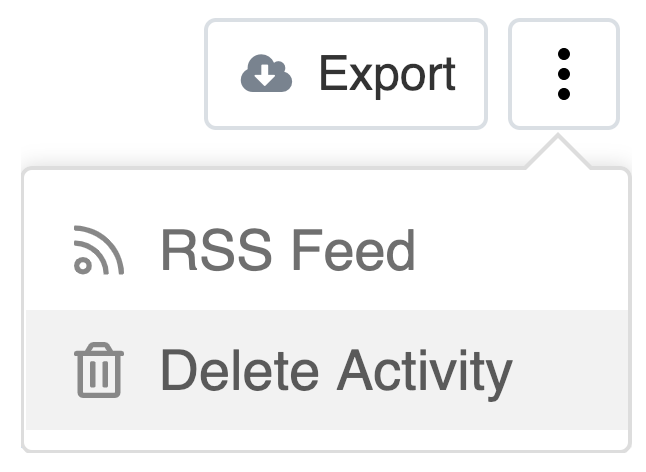 If you click on any item in the activity stream, it will bring you to the details screen for that specific item. You can see a quick view of the item details by pressing v on your keyboard while your cursor is hovered over the activity item. Quick view is not available for invoices. 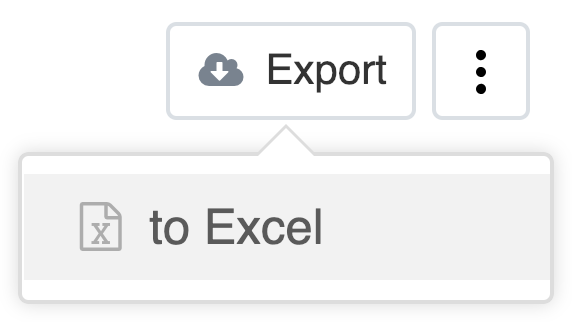 Excel is the supported format option. Note: Collaborators cannot export the project activity. In the bottom right, you also have options to select all or none of the items listed. Note: Only project or site administrators can delete project activity. A new browser tab will open, generating an XML file. 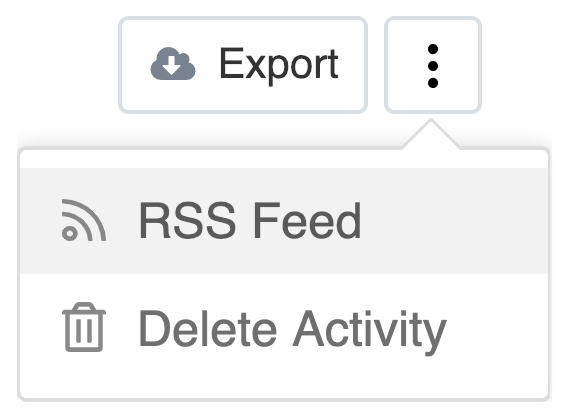 Note: Collaborators cannot generate an RSS feed.